Coronado’s Pool Renovations, Inc. is a family owned small business that has been operating locally for over 26 years. We are an Ardmore pool care company that specializes in renovations, preparations, cleaning and repairs. Our company offers the intimate, personalized experience of a small company, while also boasting the reputation and credit of a much larger organization. We have an A+ rating from the Better Business Bureau, membership within the National Plasterer’s Council and the best warranties available on the market for our work. We are passionate about serving the families and businesses of our region, and building long, trusted relationships with clients. We take pride in the homes of Ardmore, and we consider it a high calling to make them more beautiful every day! To learn more about us and what we do, visit our about page. Storing your pool gear can be either slightly annoying or profoundly sad depending on the time of year. Most times you are putting your accessories away, it is simply a routine chore done to store them overnight. But once a year, you will be putting them away to be stored for the fall, winter and beyond. But whatever the case, here are some tips for either scenario that should make the process either simpler or more effective. Dry off porous accessories before storing them. Ensuring that absorbent toys are dried before being stored in enclosed spaces will help prevent mold and freezing. Use nails or coat hangers in your pool house to hang up wet items, and to keep your accessories off the ground. While it may not be necessary with every use, it is also a good idea to clean your pool gear every so often with disinfectant wipes or spray. Store everything in a cool, dry space. Looking for more pool advice before next summer? Want a second opinion on your pool renovation project? 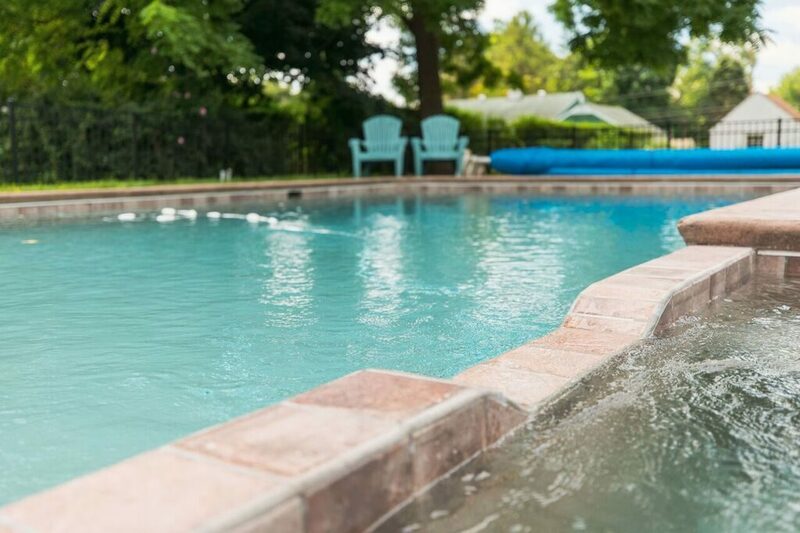 Looking for professionals to help get your pool ready for 2019 summer fun? You’ve come to the right place! Contact Coronado’s Pool Renovations for all your pool-related needs. We look forward to hearing from you.